This will be the first in a series of monthly posts spelling out exactly what competitions and giveaways you can get involved with each month! I want to give you guys lots of opportunities to win gold - and then lots of giveaways to use that gold in! Have yourself a very Adi Christmas! Inspired by our wonderful Halloween stream - we're going to have a Christmas show at the end of the month! We want you to tweet us pictures of yourself dressed up all Christmassy..... BUT there has got to be some sort of link to TheAdiposeTV too! It could be connected to Adi or Clarie.... or a link to a game we play... or linked to Doctor Who.... be creative! Clarie and Adi will judge the competition and dish out AdiGold to our favourites! The deadline for entries will be a couple of hours before our Christmas stream - which will PROBABLY be Christmas eve! So get thinking, planning, costume creating and winning! First and second places will go to posse members only! Honourable mention - 25 Gold. If we show your picture on stream and you are present you will win 5 gold! Our monthly Hearthstone competition continues! Open to posse members only. The highest ranks at the end of the month win AdiGold! But we warned - Adi will fight hard to keep his prizes to himself! You will be expected to tweet or message Adi your rank once a week during December - and then every day for the final 5 days. Everyone who enters and tweets their rank will win 10 AdiGold at the end of the month! All entrants win 10 Gold - see above. Each week will have a bunch of exciting prizes for you to get involved and play for! However - most of the time the giveaways will be during random streams so you've got to make sure you're present in the channel to win! Follow on twitter and facebook to increase your chance of getting notifications of a giveaway happening! TWO 2 mini giveaways! A random small giveaway chosen at random by the bot. Anyone can enter by saying the keyword required. Open to all and no AdiGold required. ONE Double AdiGold stream! During the stream you will earn 2 Gold every 5 minutes to help you build up your collection. Leave a window open at all times to maximise your chances of earning. ONE BIG giveaway a week! Check the list below to see what prize will be available each week. 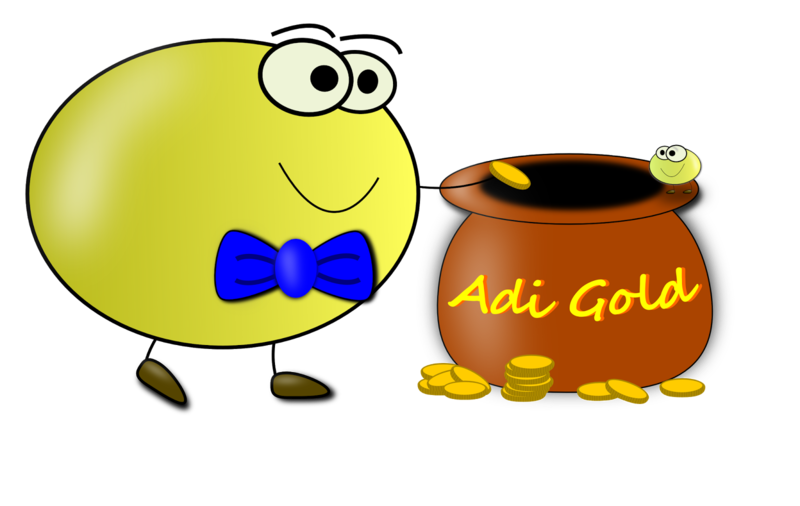 These are AdiGold giveaways which means the more Gold you put in - the higher your chances of winning! Of course on top of all of that there will be the normal giveaways and competitions on Doctor Who Legacy every Thursday! Wow! So that's it! Loads of fun stuff coming in December and I hope you will spend as much of it as possible with TheAdiposeTV and the Posse! 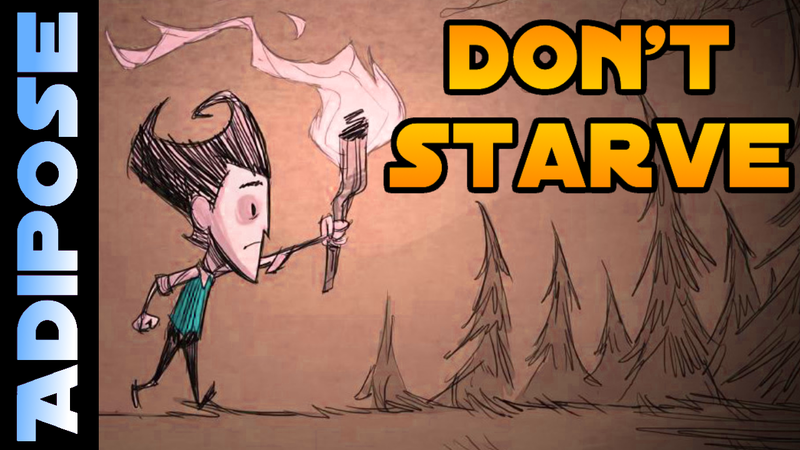 Don't Starve! Highlights chosen by the posse! 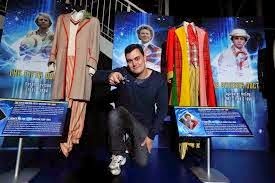 Like many of you, I discovered Adi’s show around five months ago through a post on Facebook by Doctor Who: Legacy. I already had a Twitch account, DW: L installed, and nothing to do for the next couple of hours, so I thought, “Why not?” and clicked the link. That’s when my whole life changed. I’m sure you can all relate. Doctor Who: Legacy took over our lives with its extremely addictive gameplay, fascinating storyline, amazing artwork, and phenomenal support. Add an Adi, and we didn’t stand a chance. After the stream ended that day, I had to have more. 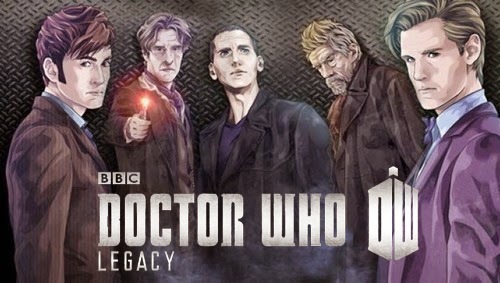 MORE DOCTOR WHO: LEGACY. MORE ADI. MORE! (Sorry for the caps, mods, ;) ) Thus began my journey of watching every video Adi had ever done regarding DW: L, and, eventually, working my way through all the videos he had ever put on YouTube. In the spirit of Doctor Who: Legacy’s 1st Birthday, I watched Adi’s videos from the beginning of it all. The two videos “Doctor Who: Legacy - Let's Try! Gameplay” and “Doctor Who: Legacy-LIVE-TinyRebelGames joins the stream!! Highlights!” were fantastic, with Adi playing DW: L for the first time, and Susan jumping into the stream. The first video, we get Adi narrating from the beginning of the storyline, and it is a great representation of how I felt when I first played the game, with a good amount of added commentary, of course! While watching the video, I noticed how different the game was and how much it has grown. It is especially fun to watch Adi learn about the basics of the game: my favorite laugh-out-loud moment happened around 13:20, where Adi learns how to target enemies. As we all know, Time Crystals are precious, and when you get awarded them in-game, it is a very big deal. However, since Adi is a new player in this video, he is more focused on beating the bad guys than receiving a Time Crystal. After thinking back on the original stream, I had to find the moment that Adi met Susan and Lee. I searched for the video and found that Adi had conveniently made a Highlights video of just what I was looking for. In the video, we learn a lot about Susan and Lee, and are humbled by their awesomeness. 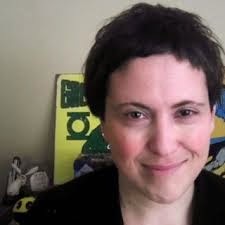 Around 9:20, we learn that Susan had worked on Bioshock and Borderlands, was one of the founders of 2K Games, and both she and Lee worked on Grand Theft Auto: San Andreas, where Lee was the producer. As Adi then said: “Wow! Wow. We are in the presence of royalty, ladies and gentlemen!” These words have never been truer than now, with Doctor Who: Legacy being Tiny Rebel Games’ biggest (in my opinion) achievement. I have never felt satisfied with an in-game purchase in a free-to-play game until I came across DW: L. I have never been more passionate, devoted, and, yes, addicted, to a free-to-play game before DW: L, and doubt that I will after this. Adi, Susan, and Lee have truly spoiled us with this game and stream. Who else can say they chat with the creators of their favorite game every week, get rewarded with codes for participating in giveaways and watching an amazing host play an awesome game, and get to be involved with further development of the game? Any question is answered, any issue is addressed immediately, and, the best part is, you guys are Whovians just like us! It is official; you’ve won over our hearts. Happy birthday Doctor Who: Legacy, and thank you Adi for being so FANTASTIC! Welcome to the News at TheAdiPoseTV.com! Our new weekly blog series to get you caught up with what is going on in the Posse community. Since Adi began streaming on Twitch in the fall of 2013, a close-knit community has sprung up and continues to grow by the day! What was once viewers showing up to watch Adi play games and stream tutorials to help users became a chat that is active 24 hours a day with viewers from all over the globe. That is where TheAdiPoseTV.com came in. The perfect place to display all of the happenings of a fantastic group of game loving chatters! Adi has led us through countless games such as The Simpsons Tapped Out, Fallout 3, Terraria, Doctor Who: Legacy, Hearthstone and more! Be sure to check out all the great tutorials and past streams! So with that said, what’s been going on? Tons! 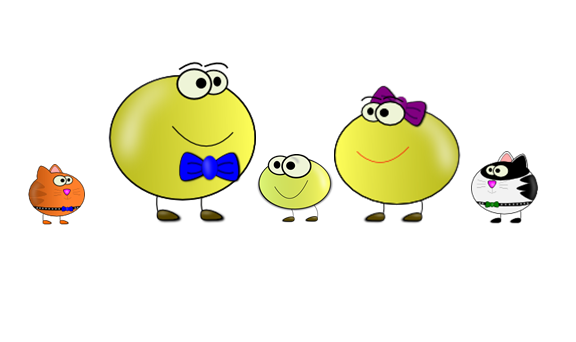 AdiPose and the lovely ClariePose brought home a new human to join them and the feline support team of Small Bean and Mr. Chips. Just over 6 months on the job, the fantastic stream starlet, IzziePose, brings smiles with the mere mention of her name. The weekly Doctor Who: Legacy streams have been incredible! Every week the viewership explodes. Lee and Susan from Tiny Rebel Games have been incredible to the Posse. Giveways galore and absolutely fantastic guests. We’ve been able to chat with the games creators and loads of special guests including Pippa Bennett-Warner (Saibra from Time Heist on the current season of Doctor Who)! Word on the street is that we’ve got more great guests being lined up thanks to Tiny Rebel Games and the BBC. Some well wishes are also in order this week! A very Happy Birthday to Posse members Confusethepolarity and VealyDan12! Happy 51st Birthday to Doctor Who and a huge Happy FIRST Birthday to our favorite game, Doctor Who: Legacy!!! We also hope all of our state side Posse peeps had a wonderful Thanksgiving on Thursday! We had an incredible Doctor Who: Legacy birthday stream filled with guests and fun. (Check it out here!) It’s been an incredible year and we’re looking forward to even more amazing things from the team! All of us in the Posse and here at TheAdiPoseTV.com want to take a moment to wish Lee and Susan Cummings an incredibly Happy 16th Wedding Anniversary as well. You are an amazing team and here’s to 100 more! Posse members, Twitch viewers, YouTube followers, person who has randomly stumbled upon this website: Want to be a part of the action? We want to hear from you! Have ideas for blog posts? Would you like to submit an article? What about fan art? Drop us a line in the comments or come on over to the Twitch chat. Right now we will be posting Celeloth’s chat quote highlights every Monday and a Posse News blog post every Friday. There are still plenty of days in the week for interesting submissions and we’d love to have you involved! Be sure to follow Adi on Twitch, Twitter, Facebook and YouTube to stay up to date and receive notifications. We’ll see you in the chat! DWL - Anniversary Spectacular - So many special guests! Best Hearthstone Deck Tracker! - Full Review and Guide! Hearthstone Absolute Beginners - What should I buy with my Gold?! Every month @TheAdiposeTV we have a Hearthstone rank competition! The person with the highest rank wins 100 AdiGold - Second place gets 50 AdiGold!. You will be expected to tweet Adi your current rank once a week and every day during the final 5 days. Failure to do so could mean disqualification at Adi's Discretion! How to Unlock Hearthstone Fireside Card Back Online! The Last of Us - Part 10 - Zombies, Toy Shops and Adi! 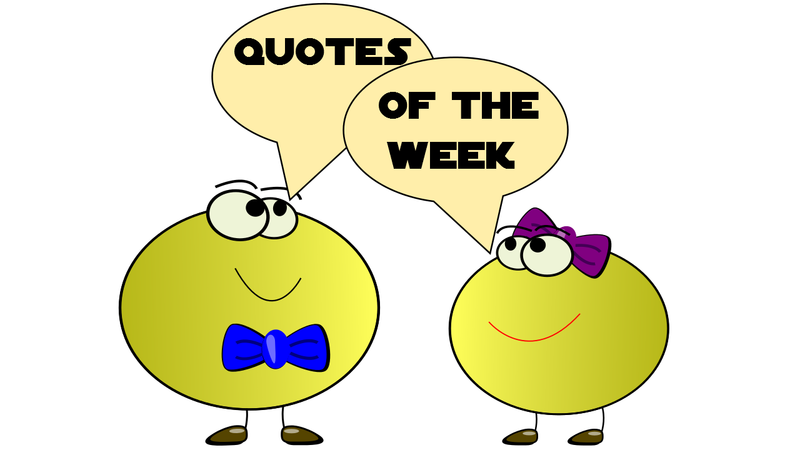 Welcome to this week's edition of "Quotes of the Week!" These quotes were put together by the wonderful Celeloth Imladris, a longtime member of the community. (read her disclaimer here). This is only a small sampling of the quotes she collected. To see the full sets of quotes from these streams, visit her Facebook page. Be sure to check back here every Monday for more quotes! Without further ado, here are the best quotes from last week's streams and chatter! SofaSpudTV: "But we just had Robin Hood, and now this is saying Santa is real and this is just . . . too much." Clarie: "Whoa whoa whoa, are you saying that one of your crazy theories is that Santa is not real?" Spud: "Um . . . . "
Spud: "Um, are there any children around me? No? Okay, I won’t say anything." Adi: "Clara, what do you think?" Clarie: "You just got my name wrong." Adi: "No, it was because I was asking about Clara and looking at Clarie so I got confused." Clarie: "We met 13 years ago on Wednesday, and you still can’t get my name right." Spud: "Danger danger danger . . ."
Clarie: "Oh no, don’t talk while we’re playing even though we’re streaming and that’s the point." Adi: "I have to make sounds sometimes." Clarie: "No, there will be silence from you and the rest of the Posse." Adi: "But it would be so quiet . . . "
Clarie: "This is why I don’t drive with you." TheAdiposeTV: "Has everyone paired up into besties? Whose my bestie." TheAdiposeTV: "I have 960 gold." LesMc537: "You could prob buy a bestie with it. Not me though, you need at least a grand." TheAdiposeTV: "Thank you for letting me know your personal pricing system, Les." tabitenor17: like the bot used to do! Doctor Who: Legacy LIVE - Biggest Giveaway ever! Terraria - First Frost Moon!